Our vision is to be recognised as an innovative, entrepreneurial and culturally diverse Business School focused on developing excellence in research, teaching and learning through a process of creating developmental opportunities for our (local, regional and global) stakeholders. Our mission is to have a meaningful impact on the way business is conducted in Asia through high quality research, educational excellence, and extensive engagement with industry and the community. Our leadership team keeps us at the forefront of business teaching and research. Our internationally recognised researchers are transforming business by tackling global and regional challenges. Staff at Monash Business ensure your interactions with us are professional and efficient. 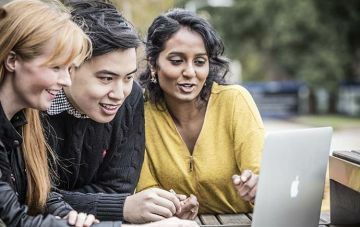 As a leading business school in Asia and part of a global top 100 university, Monash Business is recognised for excellence in research and teaching. We are part of the PRME initiative promoting sustainability and equipping today's business students to deliver tomorrow's change. Hear how staff and students at Monash Business are standing out from the crowd and impacting the business world. Looking for more information about our courses, staff or events? Interested in partnering with us? Get in touch with us today.